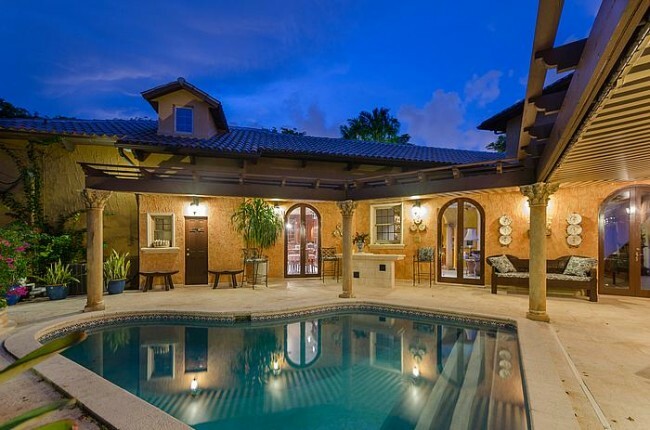 The home has high vaulted ceilings, a grand stairway, and an inner courtyard with a pool. 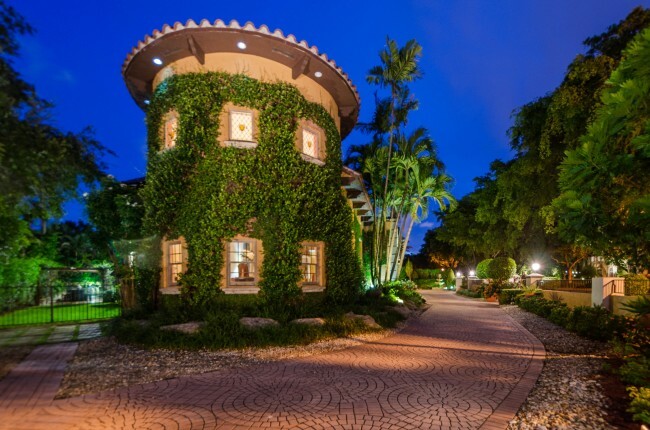 2505 De Soto Blvd is gated and its exterior is characterized by its ivy covered walls and lush landscape. Within the gates, you will notice a very detailed brick paved driveway leading up to the main doors of the home. Upon entering the home, you notice the spacious floor plan and see the elegant grand staircase, with its Mediterranean style black marble and wrought-iron spindles curved handrail design.